The iconic bad guy with a criminal sense of humour is immortilised by Lego and turned into a night light for kids! Comic book fans and kids alike will love this character nightlight whose legs are lit by white LEDs to become a night light and torch. 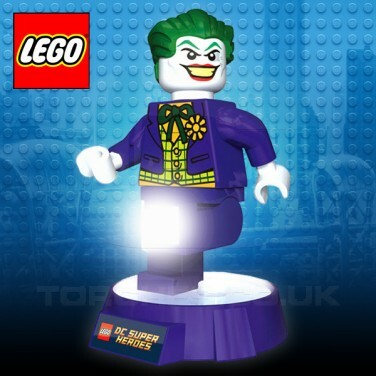 With poseable arms and legs, place the Joker on his base to light your room, and with a 30 minute auto shut off timer, you can set him to go off after you've fallen asleep too. 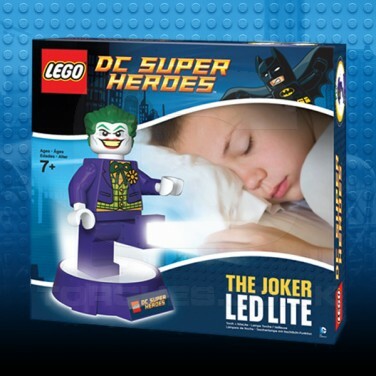 Why not sit Batman on one bedside table and The Joker on the other, and let them battle it out while you sleep! Can be used as a lamp, nightlight and torch!